WAUKEGAN, Ill. -- A north suburban man who viciously killed three pit bulls, then buried the animals in his backyard, is facing animal cruelty charges, according to police. 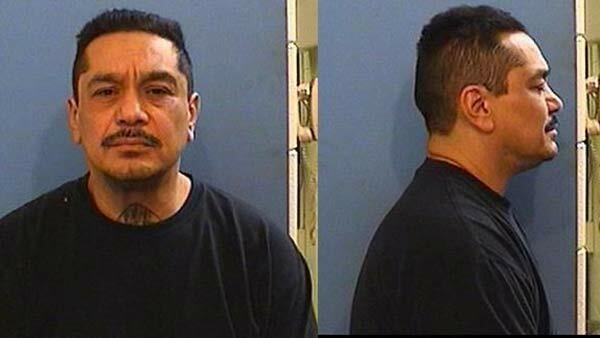 Juan Rositas, 49, faces three felony counts each of aggravated cruelty to an animal, and animal torture, according to Waukegan Police Lt. Edward Fitzgerald. The dogs apparently died on separate occasions between November 2014 and January 2015. Rositas beat one of the dogs with a bat, then put a bag over its head, Fitzgerald said. He allegedly killed another dog with a sledgehammer, and the third with the claw end of a hammer. The police Animal Control Unit discovered the dead animals buried in Rositas' backyard in the 100 block of Fulton in Waukegan, Fitzgerald said. Three other dogs living at the residence have been relinquished to the city. Rositas was arrested April 21, and was found to have outstanding warrants for several misdemeanor charges, including domestic battery and aggravated assault, Fitzgerald said. He is being held in the Lake County Jail on a $700,000 bond.